In September reddit’s r/proceduralgeneration had a monthly challenge about microorganisms. I didn’t do anything then but inspiration struck last week. 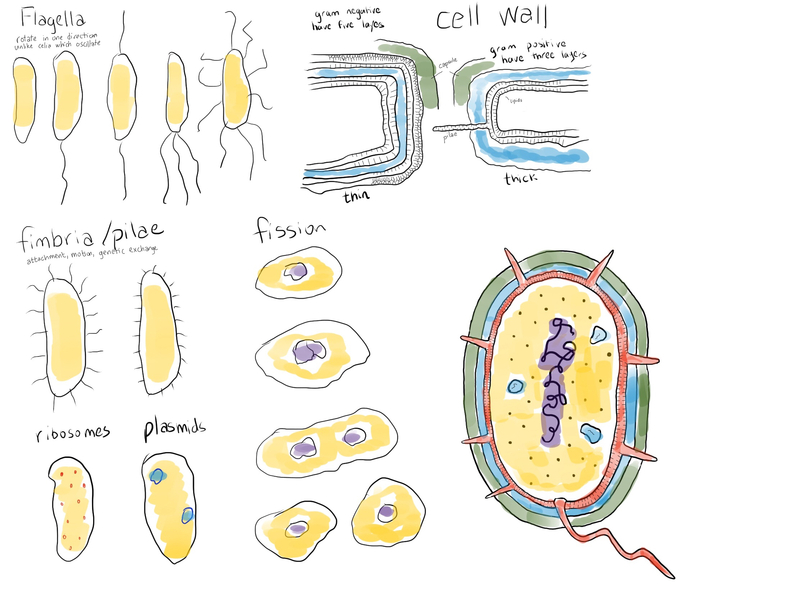 I spend a few hours on wikipedia and google image search learning about bacterial cells, sketched some ideas (below), and wanted to build an animated version. This is meant to be artistic, not realistic. It was a fun weekend project. I spent my time on the cell wall and the pilae and didn’t have time for ribosomes and plasmids and dna. Try playing with the parameters in the upper right of the page.